How To Remove Rust Stains From Porcelain Bathtub? Comments Off on How To Remove Rust Stains From Porcelain Bathtub? Without a proper guide, you may damage your bathtub while removing the rust stains using the wrong cleaning agents. 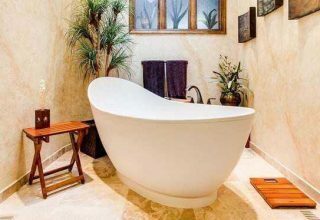 Different bathtubs are made of different materials. And each type reacts differently to various cleaning agents. Let me make it more clear. Let’s say you have an acrylic bathtub with rust stains. Now, if you try to clean it with bleach, it will damage your tub! If you use vinegar to clean your enamel tub, it will damage the tub too. That’s the reason you need to exercise more caution when applying any cleaning agent. I don’t know what is your bathtub type, so I will give you two homemade solutions first. 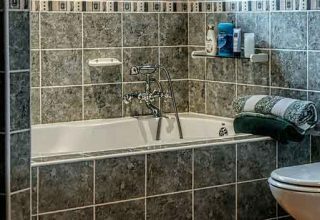 These solutions will work on any type of bathtub without damaging it. Depending on how old the rust is, it may take some time to work. If you are not willing to learn the homemade solution, go directly to the end of the article. There I mentioned 2 products that will cost you so little but give you amazing result removing rust stains from your beloved bathtub. In this first homemade solution, I am gonna talk about using lemon and salt to remove rust stains. No, I am not talking about making the margarita! Lemon and salt have some amazing cleaning properties that can remove rust stains from your bathtub. Squeeze some lemons or lemon juice over the rust affected areas. How many lemons you will be needing depends on the size of the rust affected areas. Just make sure you dampen the area pretty well so that the salt can stick to it. Then sprinkle some salt over the rust-stained dampened area. Make sure the salt sticks to the dampened area. If you notice the salt does not stick to the dampened area, start from step 1 again. After you have sprinkled the salt, wait for around 3 to 4 hours. Waiting in this step is very important. Depending on how hard the rust stain is, the waiting time may vary. Use any microfiber cloth to gently scrub the lemon juice and salt mixture away. You will notice that a significant amount of rust is gone! Rinse off the affected area with clean water to remove any remaining rust. There you have it! 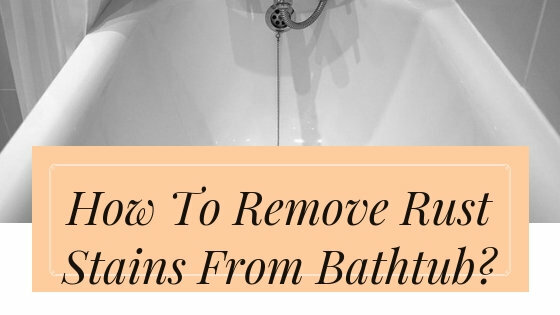 You have just removed the rust stains from your bathtub without damaging it. Now, watch an instructional video on it. Now, there is another very similar process to remove rust stains. Instead of using the lemons and salt, this time you can use baking soda! First, make a paste of baking soda and water. Depending on the size of the rust affected areas of your tub, you should determine the amount of paste to make. Don’t make a bulk amount first. Start with a small amount, then make more as you need. Now spread the paste on the rust affected areas of your tub. Wait for at least 12 hours so that the solution can work properly. After waiting for 12 hours, scrub the paste away with a microfiber cloth. Use water to rinse off the remaining paste. You may need to repeat the process if you don’t get your desired result at the first time. Alright, I just mentioned 2 homemade solutions to remove rust stains from your bathtub. I am pretty sure any one of them will work just fine irrespective of your bathtub type. 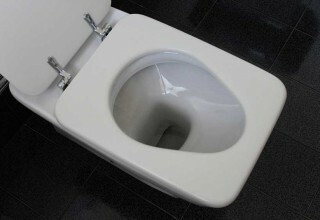 Now, if you still think these homemade solutions won’t work for you, try the “The Works” toilet bowl cleaner. Many have reviewed to have great result using this cleaner. It comes with the instruction. Apply it to the rust affected areas as instructed and you will get your result. Now that we are talking about using paid cleaning products, here is another solution. 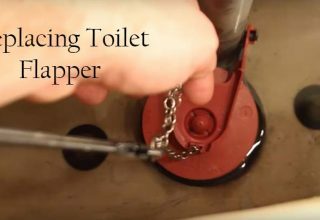 This solution will work not only on any type of bathtub, but you can also use the solution to remove rust stains from ceramic tile and any type of porcelain fixtures like flushing toilets, sink, and so on. You heard about the Borax, right? Make a paste of the Borax and lemon juice. This paste is proven to be effective on iron rusts. Rub the paste into the rust stain affected areas of your bathtub. Allow it to dry. Then all you have to do is to rinse with clean water. Depending on how stubborn the stain is, you may need to repeat the process if necessary. 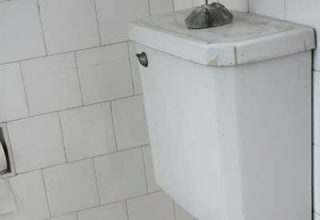 Use a clean cloth to dry the wet areas. And you are done! 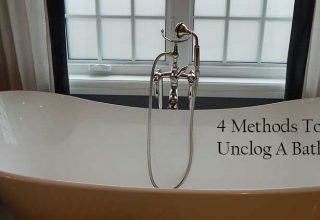 I have mentioned 4 proven to be effective ways to remove rust stains from your bathtub. I strongly recommend you try the homemade solution first. That way, you are minimizing the risk of damaging your expensive bathtub. Previous article How To Remove Mold From Bathtub? 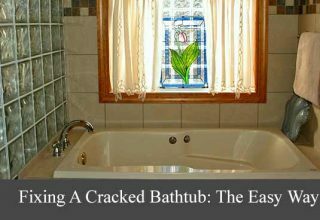 Next article How To Fix A Cracked Bathtub And Learn Some Preventive Measures Too! How To Remove Mold From Bathtub?